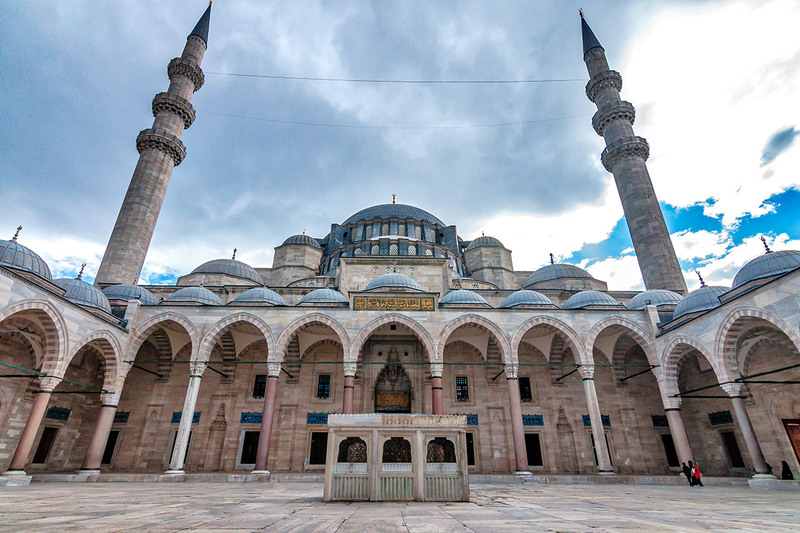 The Süleymaniye Mosque is an Ottoman imperial mosque located on the Third Hill of Istanbul, Turkey, is the second largest mosque in the city, and one of the best-known sights of Istanbul. 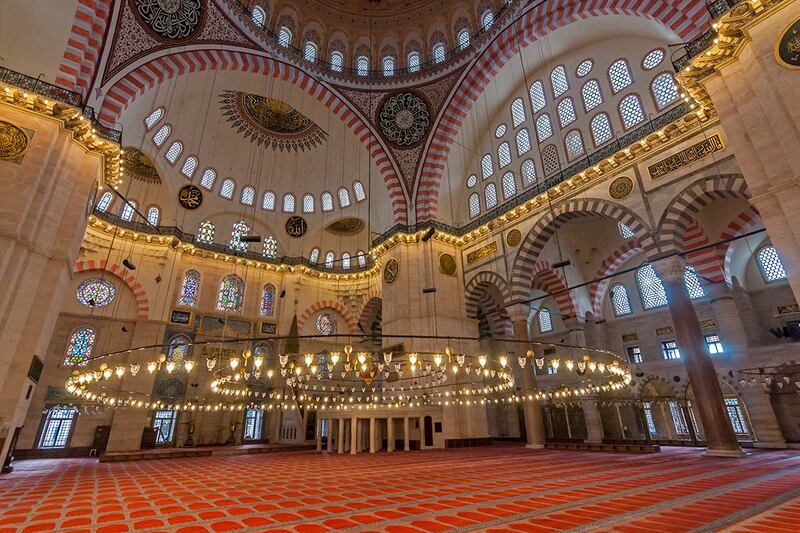 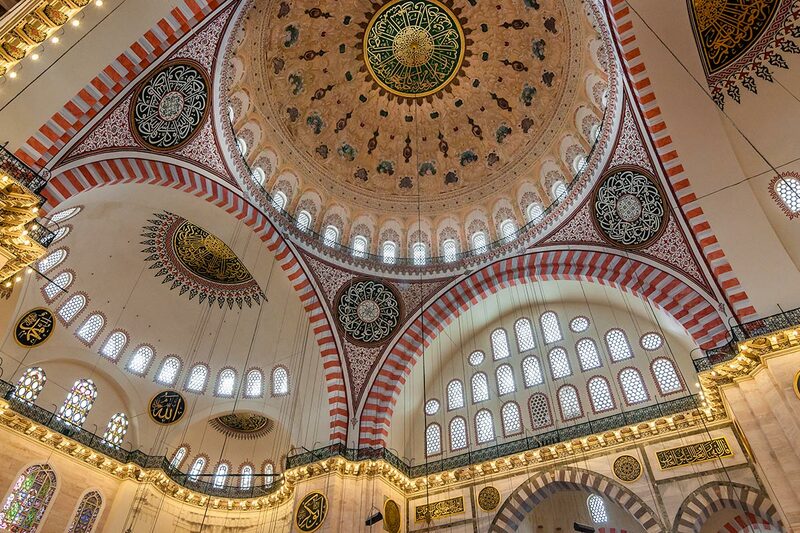 It was built between 1550 and 1557 and is considered to be one of the masterpieces of Ottoman architect Sinan. 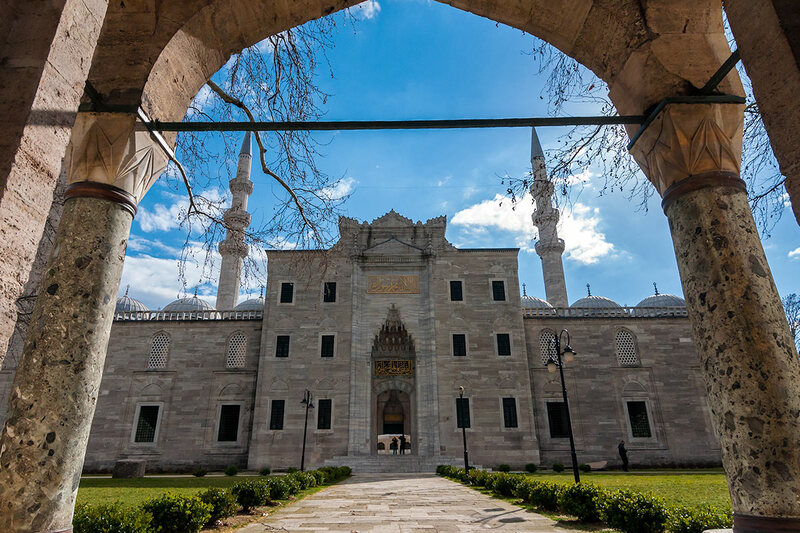 The Sultan Süleyman the Magnificent, ruled the empire for 46 years was one of the most important Ottoman sultans who ruled in the 16th century. 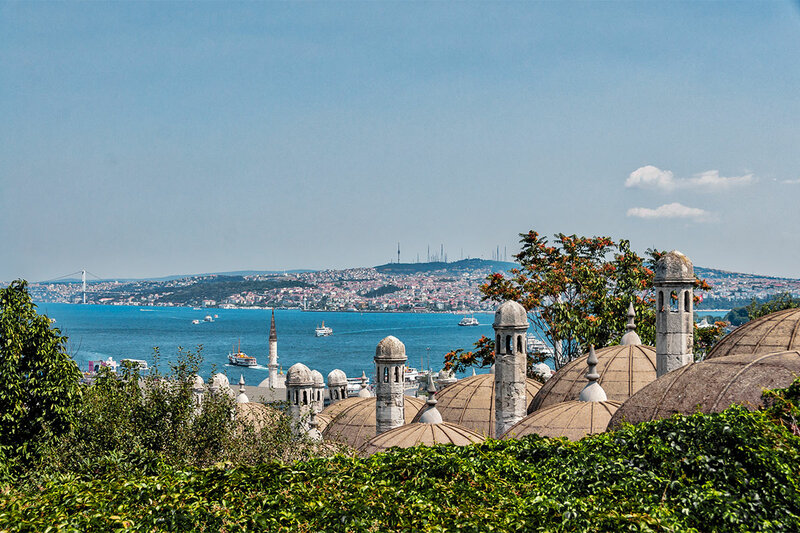 It features four minarets with their 10 beautiful şerefes (balconies), gardens and a three-sided forecourt with a central domed ablutions fountain. 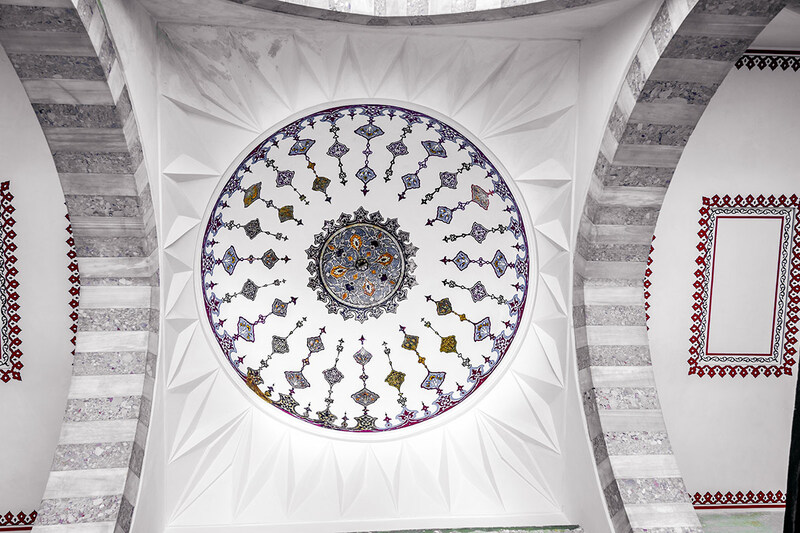 The mosque has an impressive size central dome of 47 meters high and elegantly decorated interior, the sense of space and light is emphasized the supporting semi-domes. 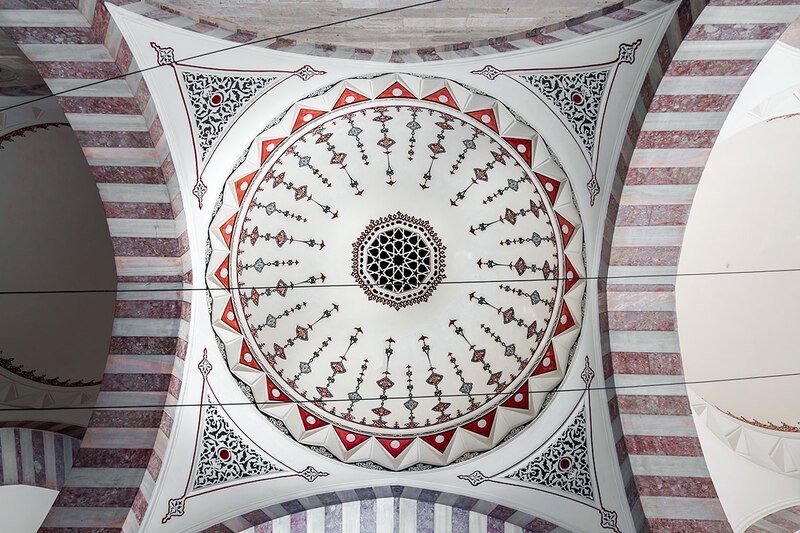 The mihrab (indicates the direction of Mecca) is covered in fine Iznik tiles and other interior decoration includes window shutters inlaid with mother-of-pearl, gorgeous stained-glass windows, painted muqarnas (corbels with honeycomb detail), a spectacular persimmon-coloured floor carpet, painted pendentives and medallions featuring fine calligraphy. 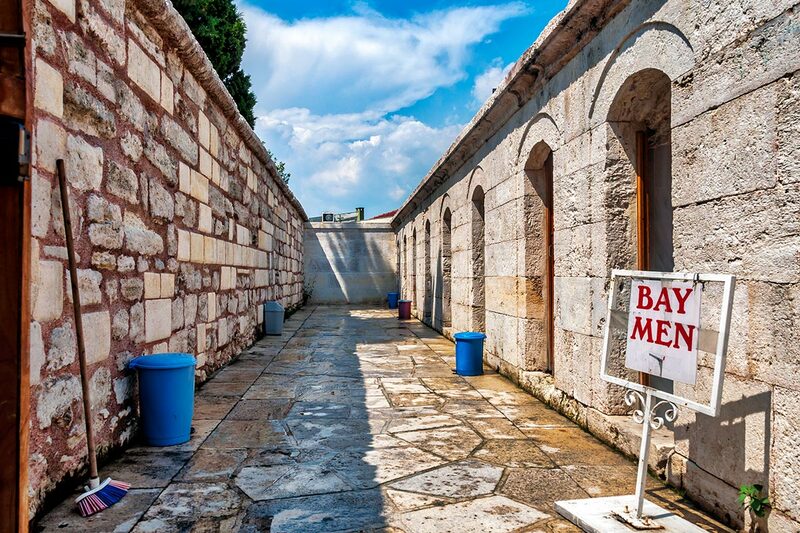 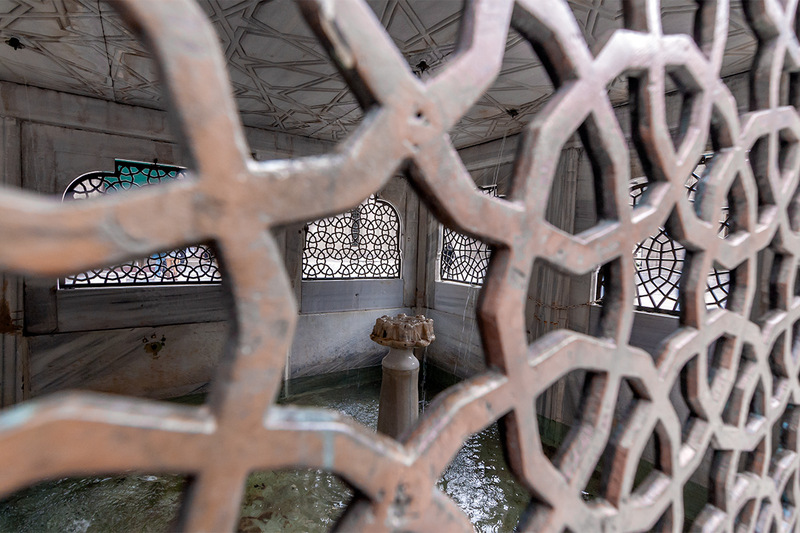 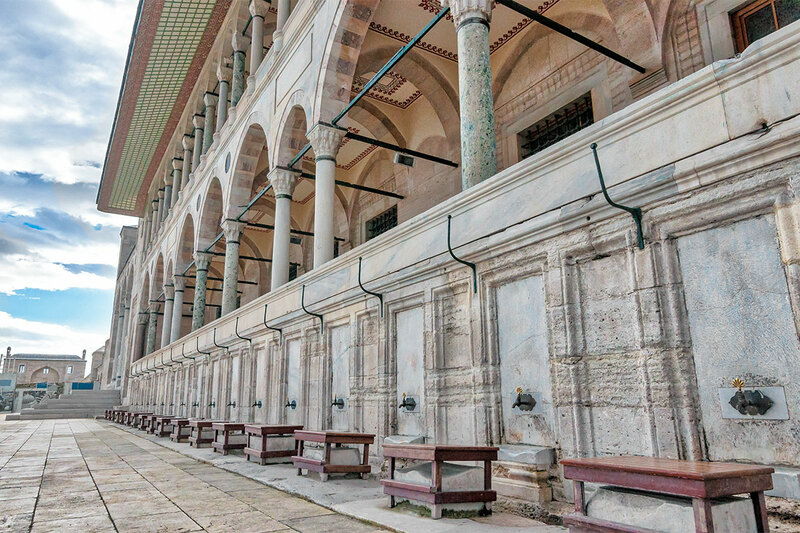 Like many Ottoman mosques, the religious building is surrounded by a külliye that held a hamam, kitchens, a religious school, a primary school, a hospital, and a hostel for travelers. 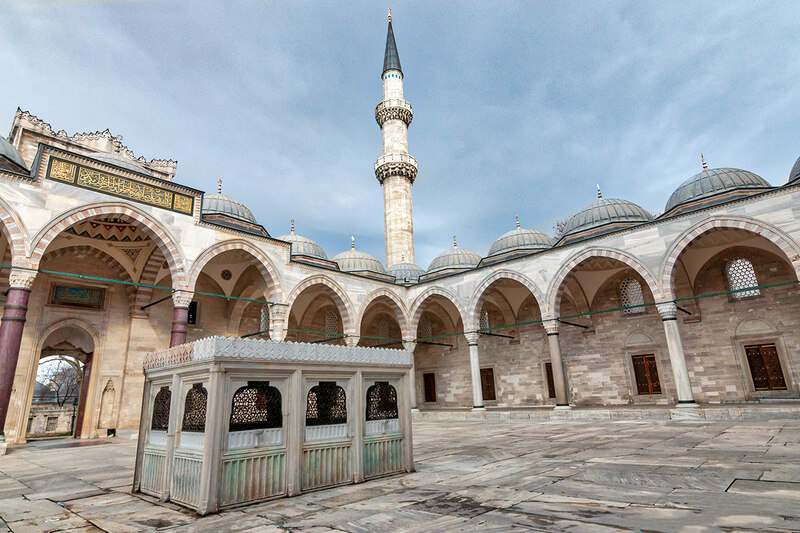 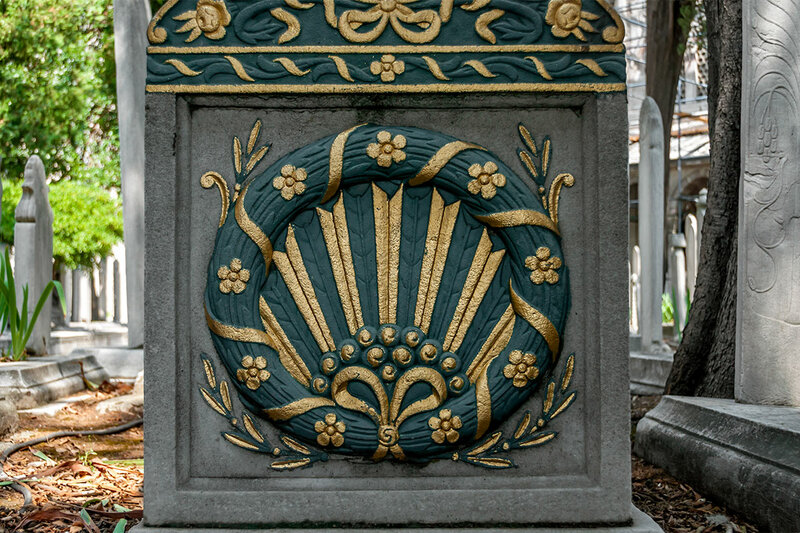 Adjacent to the mosque is a cemetery with impressively ornate tombstones and the tomb buildings of Sultan Süleyman and his wife, Hürrem.